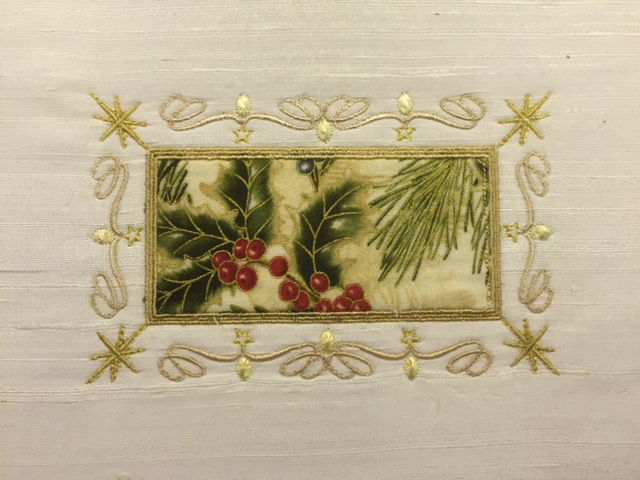 Most of us run out of time during December with all the jobs that we plan and need to complete, so while I was preparing the third set in the Elegant Christmas Messages collection I added a little oblong appliqué for a quick embroidery project. This design can be used in many ways but I had in mind some place mats with a seasonal fabric appliqué placed in the center. 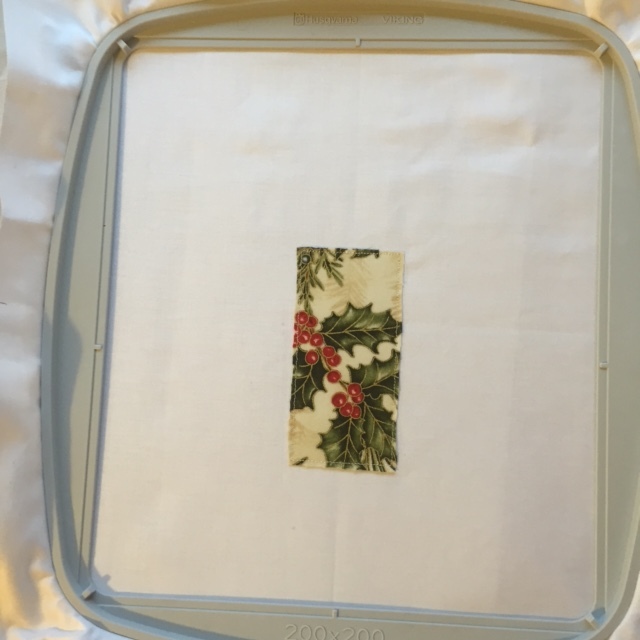 There are three boxes of satin stitches to hold your fabric in place after you have trimmed it as close as possible, so you should not have any problem with little ends sticking out. This is my finished test panel. Be careful to have your fabric absolutely flat so you do not get puckers as I did. I suspect this would have been avoided if I had used a smaller hoop. Hooping my fabric is also not my preferred method either. 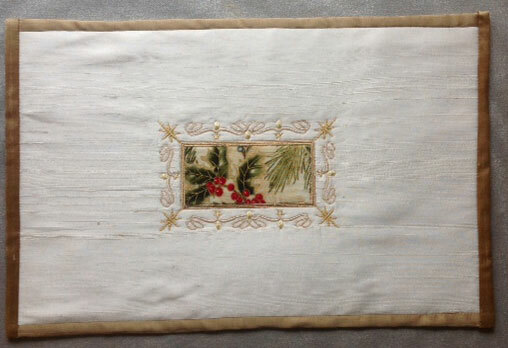 Now I have tested the design I am going to create a place mat using an ivory silk dupion fabric as the white cotton is too stark against the Christmas fabric in my opinion, but then I have never liked white fabric. After doing the test design I changed the boxes around the fabric so they are slightly wider with a little overlap. I intend to back the fabric with Floriani Stitch N Shape. The finished place mat will be backed with cotton and bound with a gold or green silk to emphasise the colours of the patterned fabric. Some of the colours used for the embroidery needed to be changed. Of course this will create quite a plain mat and you could add more embroidery from the Elegant Christmas Messages collection or personalise the mats with your guests names instead of the appliqué. Then they would have a gift to take home. I stabilised my hoop with one layer of Stitch N Tear and then I used temporary adhesive spray to secure my ivory silk dupion to the Stitch N Shape as I did not have the fusible version. On reflection it may have been better to stitch these layers together. Then in turn I secured those 2 layers to the stabiliser with more temporary adhesive spray. I did wonder how well this would be held within the hoop but nothing moved. Of course you may want to embroider just the fabric and add the Stitch N Shape afterwards. This will give a slightly different appearance to the embroidery which will sit above the Stitch N Shape. I wanted to test how well it would work out this way and was pleased with the results. Here is my finished mat which I bound with a dark gold silk dupion. 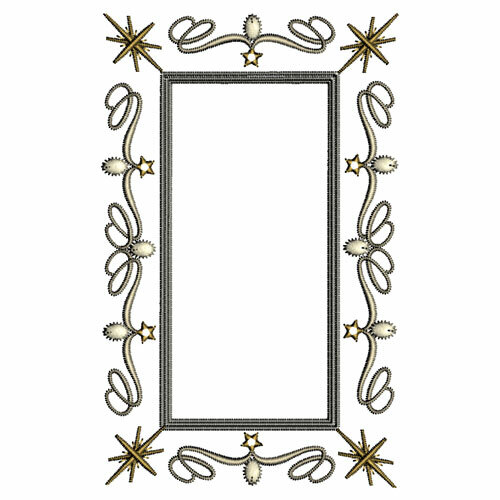 View all the designs in the Elegant Christmas Messages collection here. 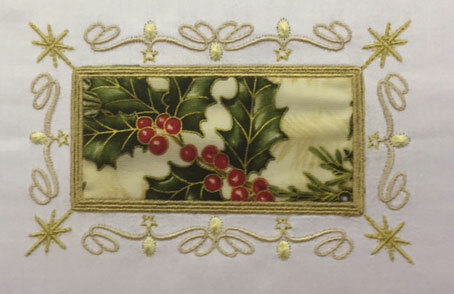 This entry was posted in Embroidery projects and tagged Christmas. Bookmark the permalink.